I bought 4 pcs stepper drivers HY-DIV268N-5A.I've connected them to a controller MKS Gen v1.4 and I use the firmware Marlin 1.1.4. I power them with 12V/360W power supplay. 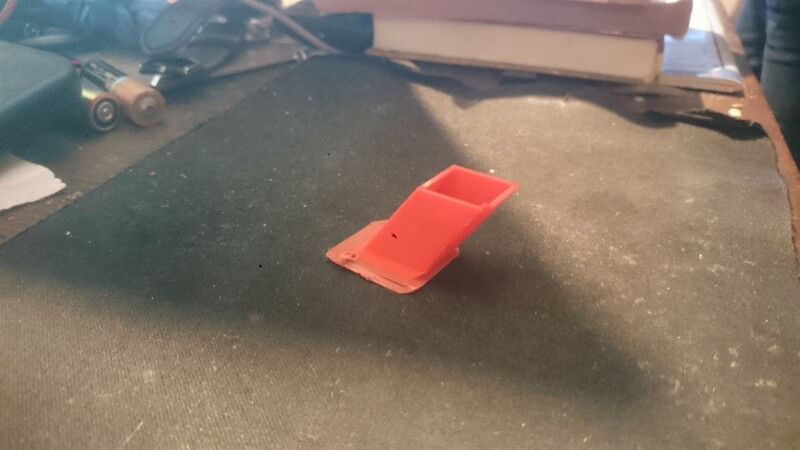 I've printed a test cube.The end result is a diagonal slope of about 45 in the direction Xmax Ymax. Where to search for the problem? If its approximately the right size but not square, this is normally your axis is not at 90 degrees from each other. With other drivers (A4988,DRV8825, LV8729 and etc. ), This problem is gone. I suspect you have the step line inverted on these drivers. Edited 1 time(s). Last edit at 01/11/2019 09:03PM by Dust. That was the first thing I did, but the problem remains. The difference is that it tilts in the opposite direction. I have read it, but the drivers I have are radically different from those described in the text. I would try marlin 1.1.9 and set the driver as a TB6600, it has advanced timing features not in the older marlin... this is your last hope. * Override the default value based on the driver type set in Configuration.h.